Filigree Mary Crucifix ~SP~ 2 in. 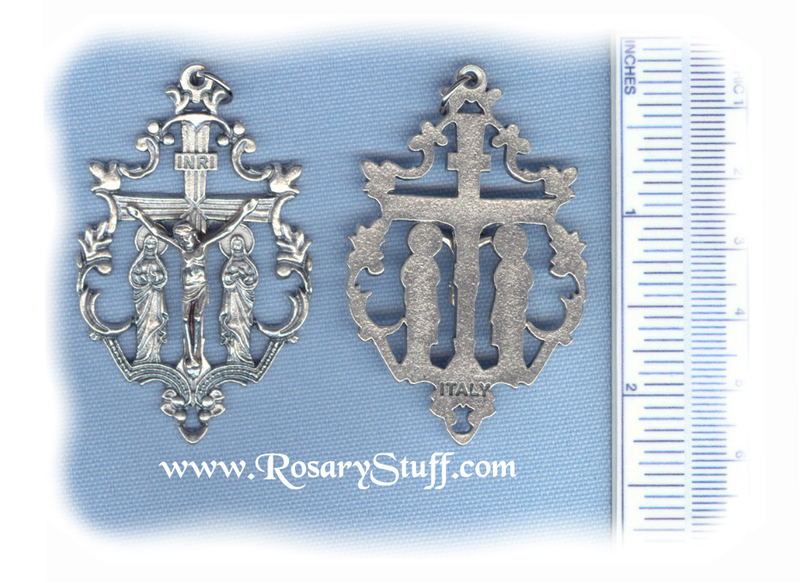 Filigree Crucifix with Our Lady and Mary Magdalene ~SP~ 2 in. Italian oxidized silver plate Filigree Mary crucifix. This ornate filigree crucifix features The Virgin Mary (right) and Mary Magdalene (left). Sized at a little over 2 inches tall (not including ring) by 1 3/8 inch wide at the widest point. Grapes Crucifix (Large) ~SP~ 2 in. Fleur-de-Lis Large (New Version) ~SP~ 2 1/4 in.